Find out how you can pay less for amazing opportunities to win big with our German Lotto 6/49 FAQ. What’s Lotto 6/49’s story, how is it played, and what are the odds on winning in each prize category? We’ve got the answers. What’s the story of Lotto 6/49? Germany’s Lotto 6/49 is by far the longest-established lottery available on PlayEuroLotto (or pretty much anywhere else!) The first draw in this game’s history took place in October 1955, and Lotto 6/49 hasn’t stopped changing lives ever since. For all the trivia lovers out there, the winning numbers in the first ever Lotto 6/49 draw were as follows: 3, 12, 13, 16, 23 and 41. How is Lotto 6/49 played? It’s pretty much all in the name! Lotto 6/49 challenges its players to choose six numbers from 6 to 49. In recent years, the game’s organisers have introduced a twist: the Superzahl. 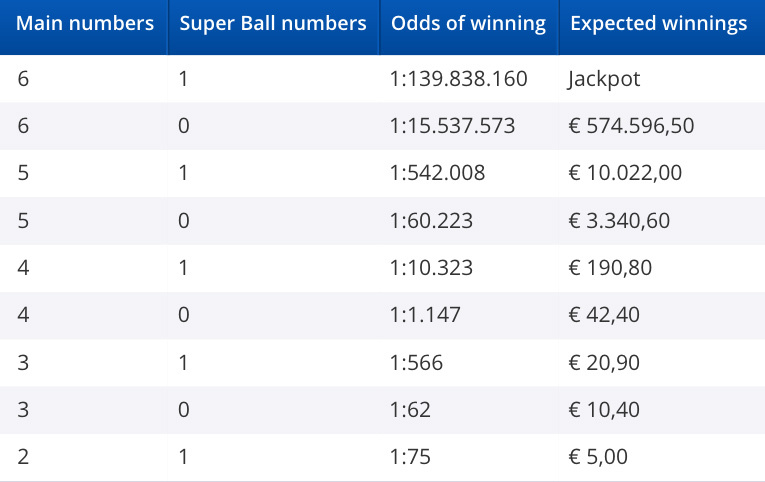 Ranging from 0-9, the Superzahl must be chosen correctly, in addition to the six regular numbers, to qualify players for the biggest prizes. The Superzahl is represented in the last digit of your ticket number, which you can change on our Lotto 6/49 number picker. How is it possible to play Lotto 6/49 outside of Germany? 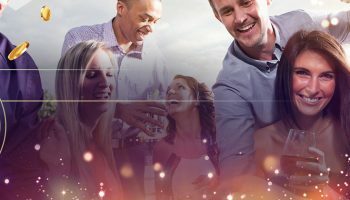 PlayEuroLotto is licensed to help people all over Europe and beyond participate in massive lotteries which may be taking place in different parts of the world. Alongside Lotto 6/49, we provide bets on EuroMillions, EuroJackpot, DinoLotto, and the American draws Powerball and MegaMillions to players in dozens of countries. Feel free to contact our friendly customer support agents if you’re unsure whether or not you can play Lotto 6/49 online with us. How do I enter Lotto 6/49 using PlayEuroLotto, and what are the draw details? We’ve tried to make playing Lotto 6/49 (and our other lotteries) as user-friendly as possible for our players. All you need to do is visit our Lotto 6/49 number picker page, select your numbers for as many lines as you would like to play, and pick your Superzahl (0 to 9). You can then choose from different options on how many draws or which draws you would like to enter. Finally, click “Add to Cart” to progress through to payment. Lotto 6/49 draws take place every Wednesday and Saturday from the lottery’s German HQ. To secure your entry, we must receive your order by 17:25 CET on the day of the first draw on your ticket or subscription. Other options to improve your experience include a Randomise button, and Boosterball, which lets you add an extra chance to win in return for an additional wager. What are the odds of winning each type of prize in Lotto 6/49? Lotto 6/49 isn’t about scoring lots of minor wins – so if you’re into winning smaller prizes regularly we would recommend a different game, like Powerball. What Lotto 6/49 does offer is a great ratio of ticket price to winning odds – so you can have the best chance of winning big for your buck. What are the best tactics to use in Lotto 6/49? Our top tip for Lotto 6/49 players is to use this lottery as a cheap way to put yourself in contention for big prizes. 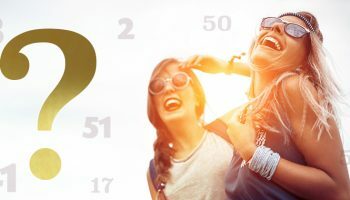 Lotto 6/49 has a low ticket price (from €1,50), which makes it the perfect game to play if you have a little lottery budget left over from other draws, or if you want to save money on your lottery bets. Whilst lottery players using traditional tickets will always run the risk of losing their winning ticket, PlayEuroLotto’s online lottery players can always rest easy that their winnings are secure, as we digitally register every entry with your personal player account. When you win a prize with PlayEuroLotto we immediately send you an email notification to tell you the good news. In some cases, especially where large amounts of money have been won, we will need to carry out a few legally required identity checks, which guarantee the safety and legality of our operation. Once the checks are complete, you can get on with the important business of spending your winnings!